No fixed plan today. The target was either West Sabine Hut and then see how I felt to possibly move onto Blue Lake Hut. Today was going to be full of big climbing up and straight back down as the trail climbed from one valley overva high mountain pass and all the way to the bottom of the valley on the other side. I got away from John Tait Hut just around 7:30am allowing myself plenty of time for today. From the hut, the trail continued on the banks of the Travers River much the same as yesterday. The soft whispering of the water was never far away, if not from the Travers itself, then from the numerous small creeks gently running across the trail, draining into the main river. Around 40 minutes I hit the short side trail to the Travers Falls. Dropping my pack at the track junction, I followed the steep track, climbing down vertical sections of tree roots to the base of the falls. Spectacular! In a dark sided chasm the tumultuous waters of the Travers spilled down a narrow chute with boulders on either side, to a deep blue pool below. The amphitheatre of rock surrounding, bright green with moss and lichens climbing vertically yo the walls. Further up the valley the first glimpses of the mountains lining the valley came into view through gaps in the trees. Talk about feeling insignificant. 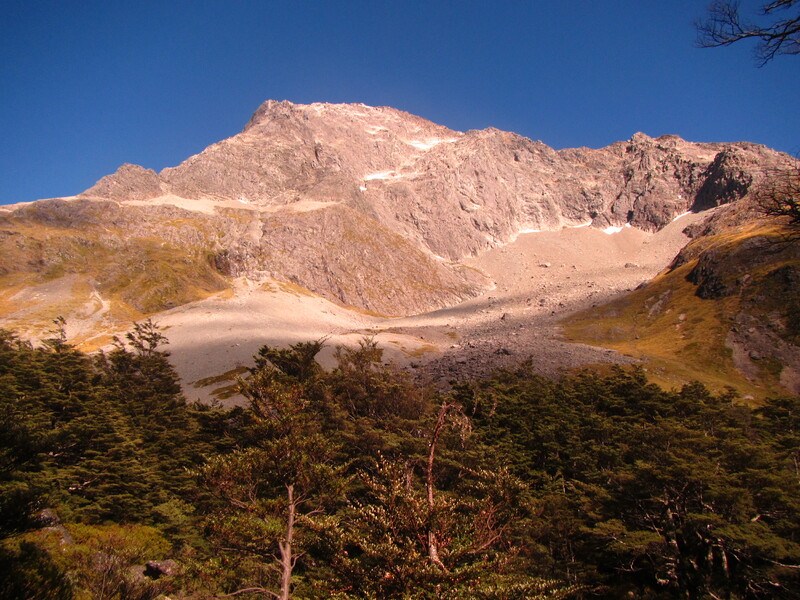 The eastern slopes of Mt Travers towering above at over 2000 metres. 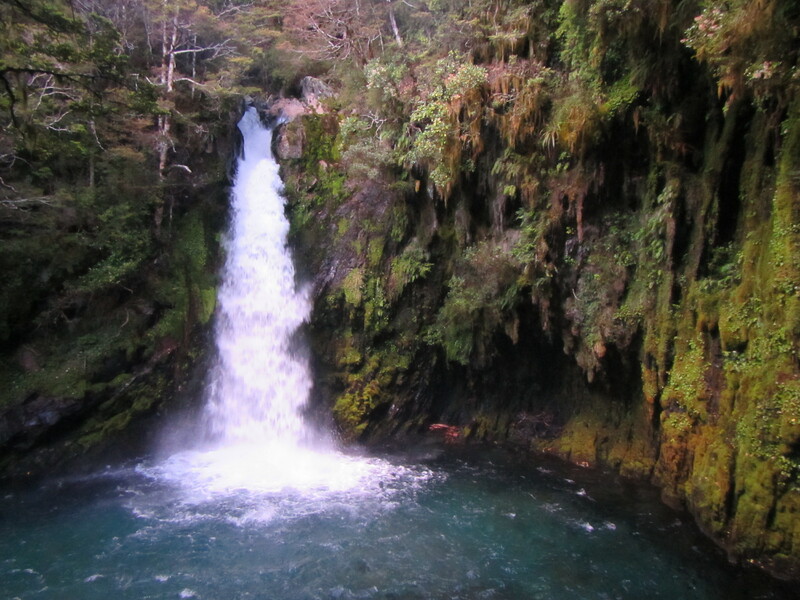 Vast slopes of bare rock and old avalanches ran down to the river with the odd water fall tumbling for more than 300m down. It was a hot day and the sun was starting to bite as it spilled into the valley as it rose over the peaks to the east. 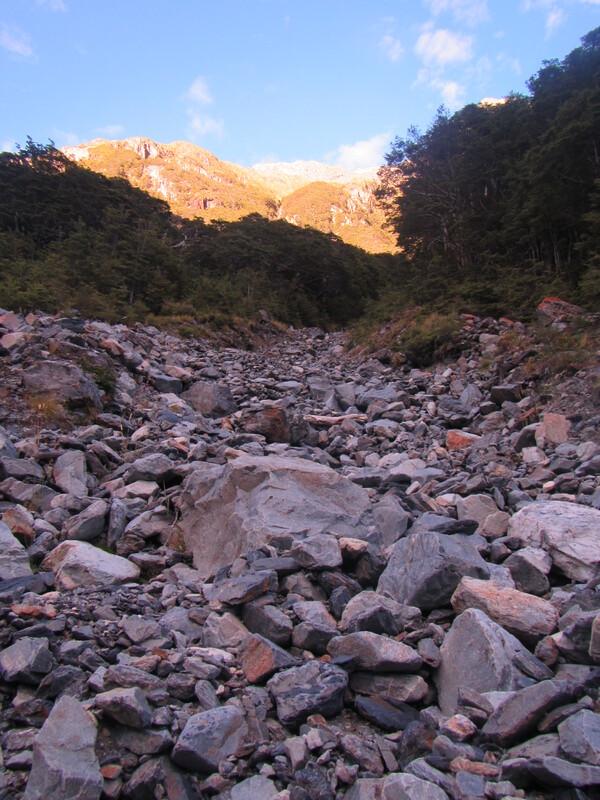 I continued towards Upper Travers Hut, running into the odd sign stating “avalanche danger – no stopping” and judging from the boulders spread amongst the trees I’d hate to be in the path of one of these beasts. Several sections of the trail looked like dry creek beds in amongst the trees but these were the tail end of narrow rock slides that had tumbled down from high, leaving a long trailing line of rock all the way to the bottom. Other sections were completely bare, having barrelled over trees to the river with little vegetation yet to reestablish itself. Random odd boulders were scattered through the scrub as well – their origin,way up high off the cliff tops. Get out of the way if these suckers come through. I made it Upper Travers Hut in a little over 2 hours and stopped for a hobbit style second breakfast and apply sunscreen. Mt Travers now in clear and full view, dominating the horizon at 2337m. Snow still clinging to several shaded chutes on the south side. 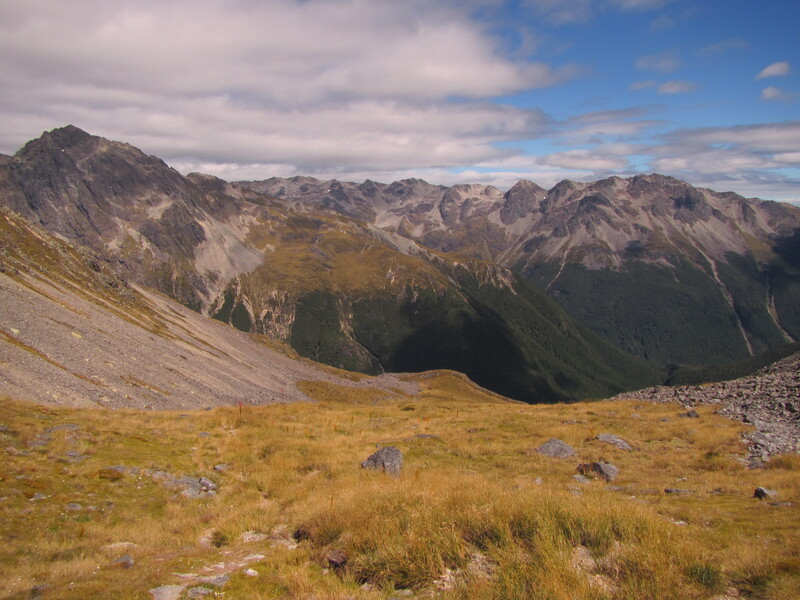 From Upper Travers Hut it was 450 m up, to ascend the ridge line and cross over the Travers Saddle. Several section hikers were just starting their day and I followed them up towards the Saddle. It was a steep climb with a few rock scrambles but nothing of major difficulty or terrain that I hadn’t encountered elsewhere on the TA already. On reaching the saddle, the views were spectacular. 360 degrees right around. It was so peaceful I had to sit up there for a good half an hour just to take it all in. A light breeze blew up and over the pass which was great to me cool down but when it settled and the noise of the wind left my years – absolute silence! Nothing. Amazing. One of the section hiker who I met at the hut also at the saddle and a second who I passed on the way arrived soon after. It was great to share the experience with others and take in the vistas. From the saddle, the trail lead straight back down the other side towards the Sabine River. Very steep descent and slow going. Across several more avalanche zones and very steeply down a scree slope for 1.5 km. This was difficult on the knees and my walking poles saved many a slide down on the loose gravel. At the bottom it was time for lunch. The trail continued on the right bank of the Sabine River East Branch for a while before crossing over a short bridge to the other side. Deep below the bridge in a dark chasm the river waters rushed through. Easily over 100m down the rivers noise was muffled to a soft hum. It was then into a sidle trail for several kilometres over roots, rocks and a few creeks before another steep descent to the Sabine River West Branch and West Sabine Hut only a few hundred metres away. I seem to be constantly eating at the moment and chomped down half of packet of Oreos at the hut. Water was plentiful right along the trail and I was drinking frequently but nothing like my hard day in the Richmond Range. It was 2:30pm and I decided I had plenty of time to continue for another 3 hours up to Blue Lake Hut. From West Sabine I had to cross a swing bridge straight away and continued on similar trail already encountered. Some flat sections, some rock, some scree. It was up all the way to the head of the valley and the source of the Sabine River, not not really steep until the very end. I came across quite a few section hikers heading back down from Blue Lake and kept getting updates on how long it should take. 2 hours, 1 hour, 20 minutes. The final push was quite a slog for me given how far I’d travelled today. The last 1000m to the hut had some really steep sections and was slow going. Glade to arrive and put and end to the day. Blue Lake itself was close by to the hut but unfortunately, or should that fortunately, swimming in the lake is not allowed. I would have loved a refreshing dip but the waters of Blue Lake are reputedly to be the clearest fresh water in the world, only exceeded in optical purity by the waters of South Pacific Gyre near Rapanui (Easter Island). 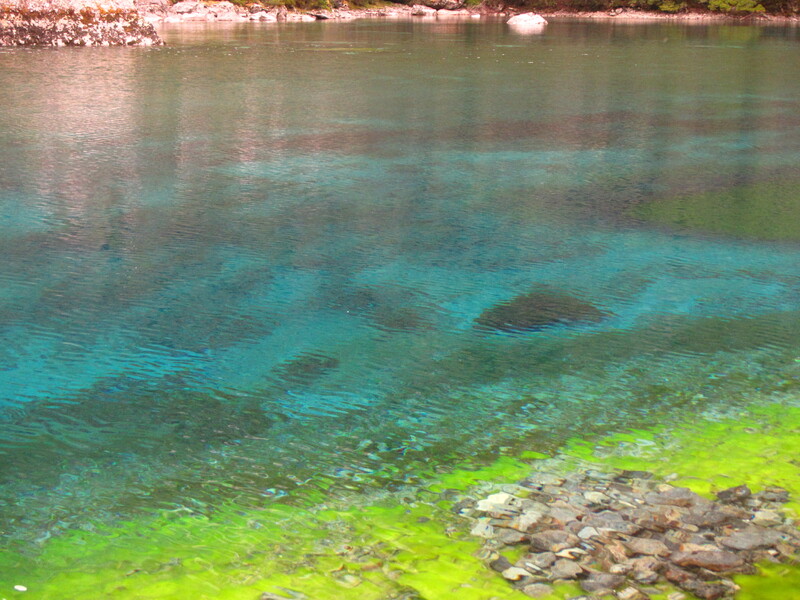 The rich, vivid blues and the aqua of the water were a sight to behold, contrasted with the bright green algae growing within and the sheer walls of Mt Franklin rising above. I wonder if this is where the bottled water company Mt Franklin came up with their sales pitch. The waters are sacred to the Ngati Apa tupuna ancestral owners and to maintain the health,ecology and purity of the water, swimming is banned. So it was I had to settle for a water bottle shower to wash the days grime away. A big day and bigger than most people typically do in these hills but it sets me up well to get over the Waipu Pass first thing tomorrow in the excellent sunny weather while it lasts. 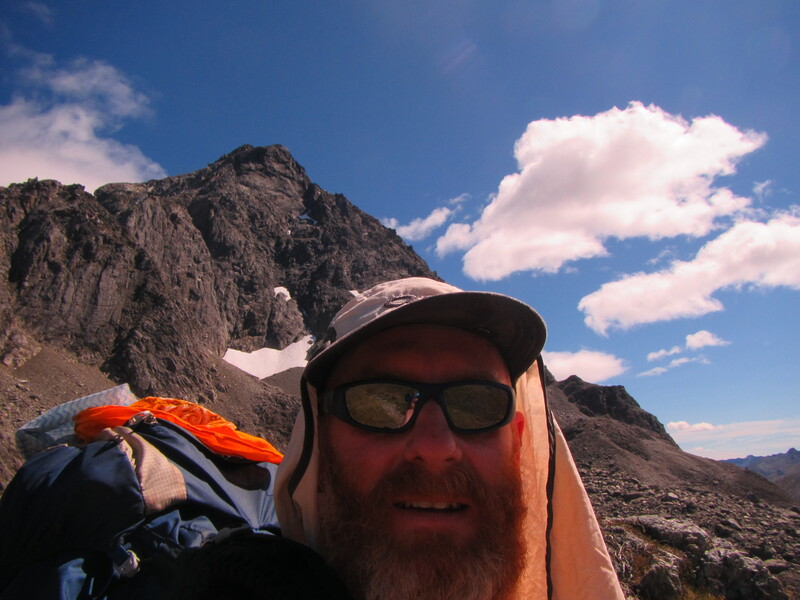 The Waipu Pass is the most difficult feature on the Te Araroa and requires good weather. By heading this far up the valley today I’ve also gained an extra day which is great. I read in the hut book that McKayla, aka Hokey, is off trail having walked out back to St Arnaud due to knee pain two days ago. If you’re reading this Hokey, I’m truly sorry to hear that and hope you can get it sorted and get back on trail soon. All the best.